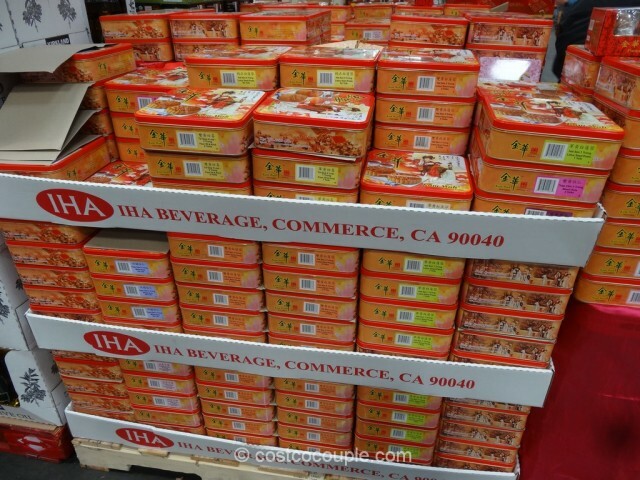 Kam Wah Moon Cakes are back for 2015! 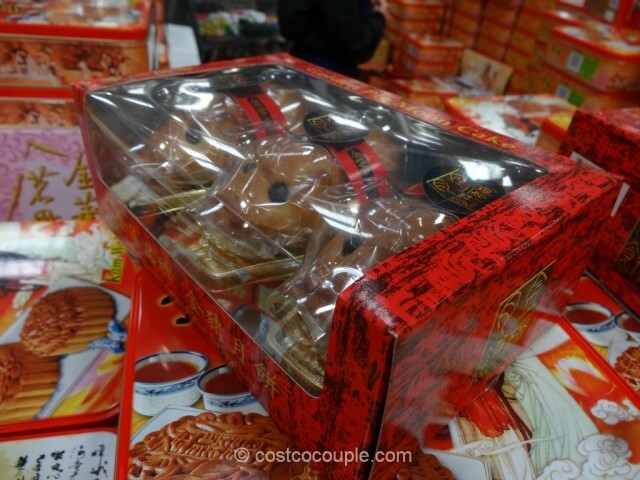 Just like last year, there’s a variety of moon cake filling available including lotus seed, mixed nuts, etc. 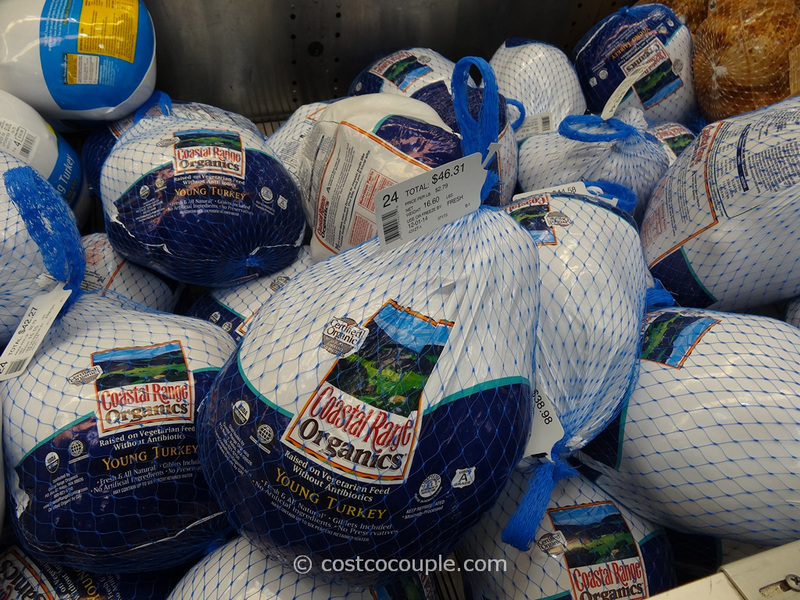 Most stores will charge extra for egg yolks in the filling but at Costco, the price is the same whether the moon cake has no egg yolk, 1 egg yolk or 2 egg yolks! The piggy and panda moon cakes are also available. 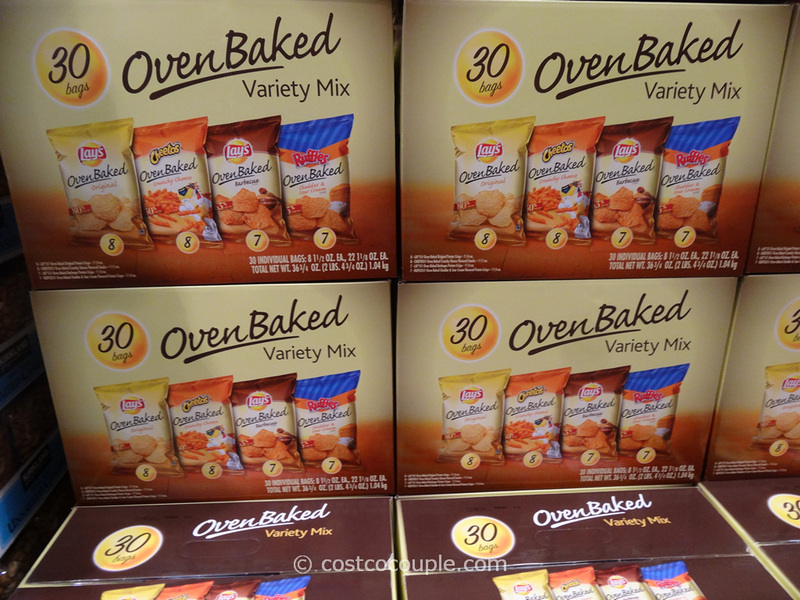 You can check out more photos from our moon cake posts from 2013 and 2014. 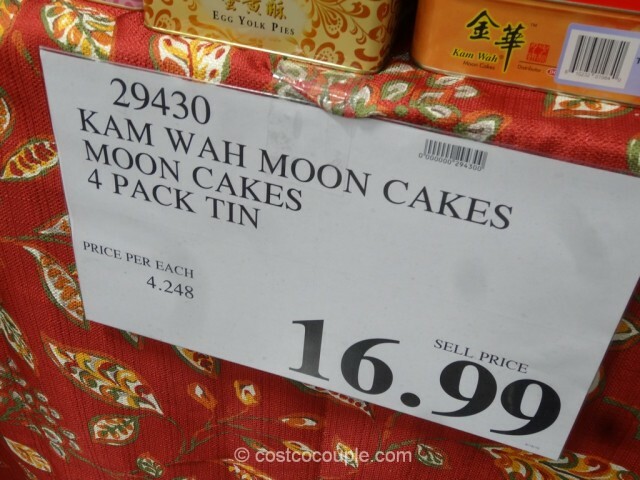 The Kam Wah Moon Cakes are priced at $16.99 for a tin with 4 moon cakes. 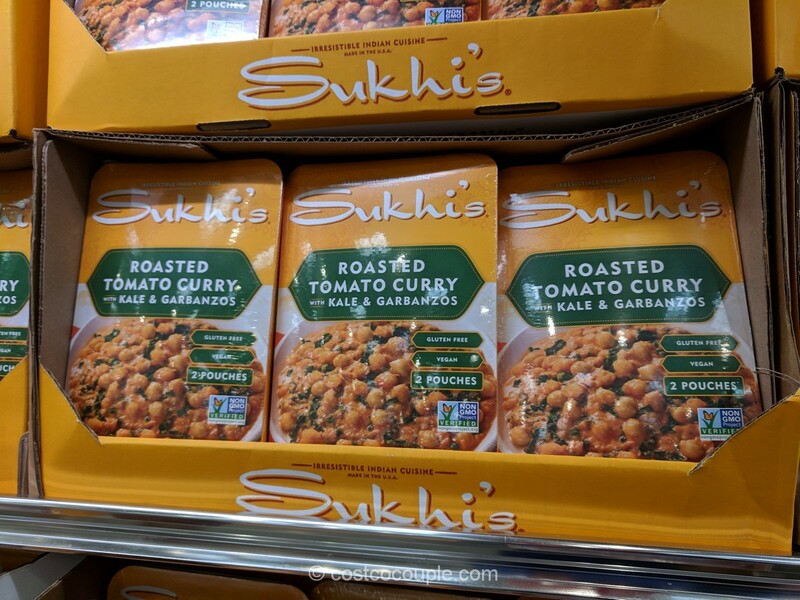 Unit price is $4.248/moon cake. 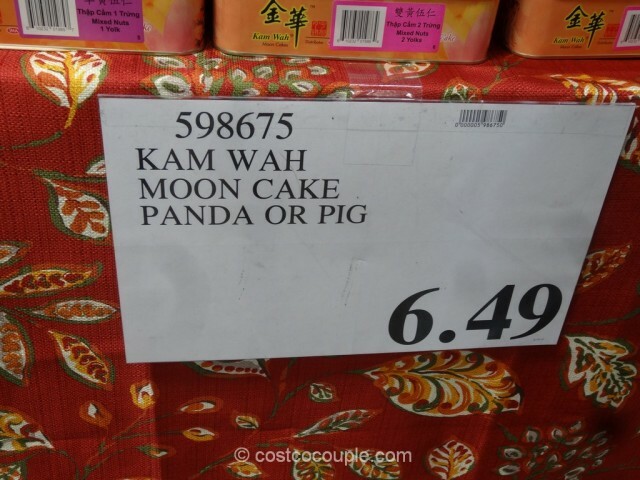 The Panda and the Piggy moon cakes (3 each in a pack) are priced at $6.49.